Kelela dropped her debut album about a week ago, and even though it's titled "Take Me Apart" it is not easy to dissect (not in a week's time anyway). The intricacies of her voice paired with genre-merging is overwhelming in the best way. So for right now I'll just dissect what I can--the stories she’s telling us through song. 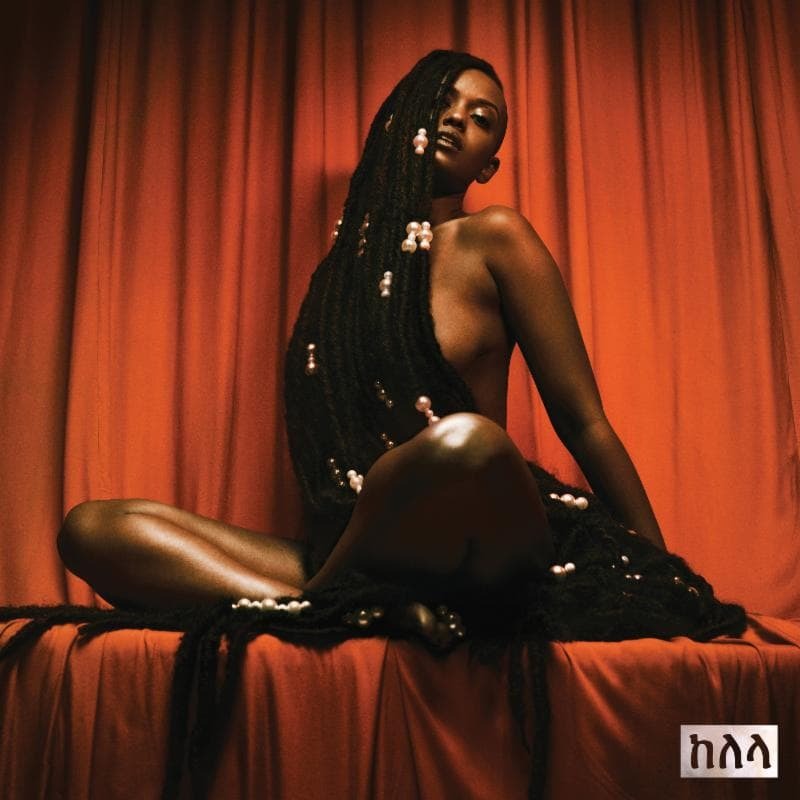 "Frontline" at the beginning sounded like going toward space but after hearing the push and pull of a story that Kelela lies over the track those sounds sound more like a musical build up to a pivotal scene in a movie. "Waitin'" has an instrumental with a lot of energy, energy that I would liken to a swarm of protons and electrons--it's perfectly magnetic. Perfectly magnetic is how Kelela paints seeing her ex some time after their break up, shamelessly being pulled towards one another. "We're getting looks but they can say what they wanna say, If they ask me, I'll tell them right away” sings Kelela at the end of the second verse. Although shame may be absent here, her thoughts and how they back track are not. On the pre-chorus she sings, "Damn, didn't we have a good time? Spinning around, we couldn't get off our ride. Damn, didn't we put up a fight? I'm trying to push it, don't let me lose it now." 17 seconds into “Take Me Apart” beads of water are introduced in the instrumental and fade as the instrumental changes. For me, the beads of water are significant because there’s something subtle yet, urgent about the sound. That same subtle urgency is present when she asks her ex to take her apart. Their familiarity with each other, the sting of their break up, and their time apart all work together to create something beautifully vulnerable. The beat takes listeners through the phases as Kelela’s voice floats over part of it as she sings about her fears and desires—and her climax. I like to describe “Enough” as the antithesis of SZA’s “The Weekend.” On “The Weekend” SZA is fine with the guy she’s messing with, messing with someone else as long as she’s getting hers. Contrastingly, on “Enough”, Kelela getting hers is not enough. She needs to get free from the entanglement with her ex before she gets hurt. Everything about this track is immersive: her vocals, the beat, the subject matter. "Jupiter" is an interlude of sorts where Kelela finds herself alone and striving for peace. "Better" reminds me of that conversation Issa and Lawrence had at the end of season 2 of Insecure about their relationship in an honest way. That's exactly what Kelela is doing on "Better" being honest and open after the relationship's end. "LMK" stays with the theme of being communicative as Kelela asks the person whose eye she has caught to let her know what's up. "LMK" gives me Maxine Waters reclaiming my time vibes. For some reason the production on "Truth Or Dare" makes me visualize a ritualistic group dance of mostly women. But the song itself is about the exploration of new found sexual tension, and what lines would be crossed if any. Her voice on this one is subtle but important, it's not doing too little nor is it doing too much. And that balance is exactly what the two people are trying to gage. Similar to "LMK," "S.O.S" is about being straightforward. In this case, Kelela is being straightforward about her sexual appetite. At one point she sensually sings, "Won't you come over before it's too late, I could touch myself babe but it's not the same..."
"Blue Light" has this morphed feeling to it, which is fitting since Kelela's feelings about starting a new relationship change as the track goes on. She decides to free fall. Here her voice is sultry on this one. "Onandon" is about the new couple learning new things about one another and getting through the rawness that entails. At one point she sings, "It's not a breakup, it's just a breakdown. " To me this song is about staying in something despite the bad moments and bottled up feeling. "Turn To Dust" comes when those feelings and moments are getting tiresome but the intimacy is still there, and not just sexual intimacy either. He has her captivated. Throughout the interlude Kelela repeats "I'm gonna prove you wrong." Prove what exactly? That she can stop her partner's departure with love. Vocally, Kelela approaches this track with a sly confidence. "Altadena" changes things up about it. It serves as the last track on the album and instead of talking about someone, it's speaking directly to someone. Someone who doesn't need to be reminded of their greatness but because of their surroundings doesn't mind it either. Someone who has been pushing a rock up a hill just for it to fall back down. She delivers this message with a tender nurturing voice as a single clap lines most of the track. If you would like to know what it feels like to experience this album live check back in with us in November for a concert review that will let you know just that.